Certain kinds of equipment must maintain sufficiently low risks to users and third parties over their entire lifecycles, despite at least one fault, and despite foreseeable misuse. Where electromagnetic interference (EMI) could foreseeably have an effect on such equipment, it will need to maintain an adequate level of electromagnetic (EM) immunity over its lifecycle. This is the concern of ‘electromagnetic compatibility (EMC) for Functional Safety’. 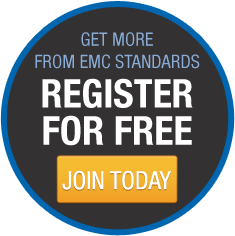 The EM environment that such equipment could experience over its whole lifecycle can be very different from that tested by standard ‘EMC compliance’ immunity tests. IEMI – Intentional EMI – could also be a concern. The physical and climatic environments, plus the wear and tear and misuse that such equipment is subjected to over its lifecycle can cause circuit EM behavior to alter, and can degrade the performance of EM mitigation measures such as shielding and filtering. 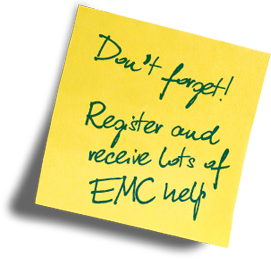 It is not generally practical to prove that an equipment is safe enough – as far as EMI possibilities are concerned – solely by EMC testing. 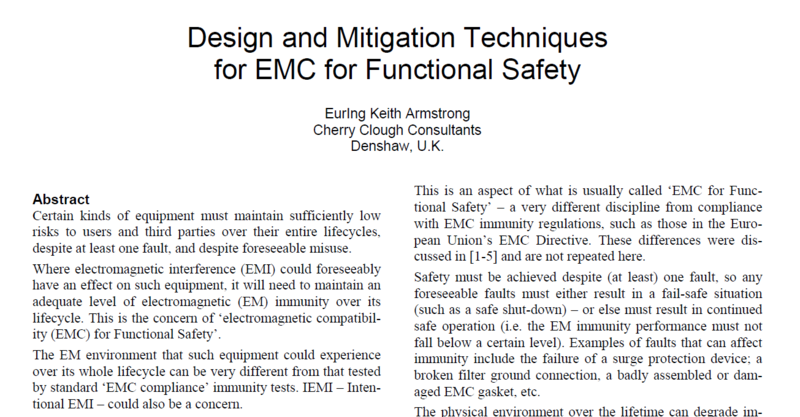 In all areas, including software, safety is achieved by the use of appropriate design techniques, plus testing, and this is also true for EMC for Functional Safety. This paper briefly describes the EMC design techniques that help achieve an adequate level of safety. Appropriate testing techniques will be covered in a future paper. Although this paper focuses on safety concerns, the design techniques it discusses are also important for high-reliability, mission-critical and legal metrology equipment, or to help control financial or security risks.